The Philippine Competition Commission (PCC) said mobile and internet services in the country remains poor a year after Globe Telecom Inc. and PLDT Inc. acquired San Miguel Corp.’s (SMC) telecommunications assets including the 700MHz frequency it holds in a blockbuster P69 billion deal. “The Philippine Competition Commission has yet to receive the official copy of the decision from the Court of Appeals. Rest assured, however, that we will take the appropriate legal steps to move this multi-billion acquisition case forward,” the PCC said. The CA’s decision effectively stops any third player from competing with the duopoly of the two big firms in the local telco industry. “We note that a year after the sale, the public continues to complain of slow, expensive and poor quality of internet and mobile services. If anything, this has further fueled our determination to safeguard the market and promote the interests of consumers,” the anti-trust body stressed. The telecommunications firms claimed that their transaction was deemed approved since they filed a notice of the deal to the PCC. 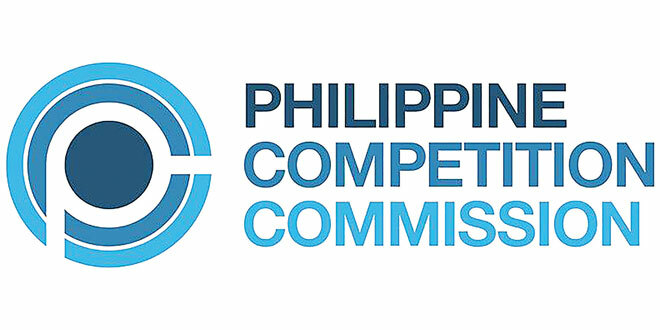 “The Philippine Competition Commission is a national government agency duly mandated by law to review mergers and acquisitions for their possible negative impact on fair competition in the market,” PCC said. “We are firm in our resolve to perform our mandate under the law,” it added. Last Oct. 23, the Court of Appeals (CA) upheld the legality of the mega telecommunications deal. In a 54-page resolution dated October 18, the CA granted the petition filed by PLDT and Globe in July last year seeking to stop the Philippine Competition Commission (PCC) investigation of the P70-billion acquisition. The resolution was penned by Associate Justice Ramon M. Bato Sr. and was concurred by Associate Justices Manuel Barrios and Maria Eliza Sempio Diy. “Wherefore, premises considered, the petitions filed by petitioners Philippine Long Distance Company (PLDT) and Globe Telecoms Inc. are hereby granted,” it ruled. “The Writ of Preliminary Injunction enjoining and directing Philippine Competition Commission, its officials and agents, or persons acting for and on its behalf to cease and desist from conducting further proceedings for the pre-acquisition review and/or investigation of the subject acquisition based on its letters dated 07 June 2016 and 17 June 2016 is made permanent,” it said. The WPI was questioned by the PCC before the Supreme Court (SC) last April even before the CA could rule on the merits of the case. The appellate court issued a writ of mandamus compelling the PCC “to recognize the subject acquisition as deemed approved by operation of law. Memorandum Circular 16-002 requires parties to a merger acquisition to merely notify the Commission through a letter containing certain information. “With the subject notice being compliant with the requirements of MC 16-02 and there being no false material statement therein, the subject acquisition is deemed approved by operation of law and may no longer be challenged under the PCA (The Philippine Competition Act),” the CA said. “It follows that PCC is duty-bound to recognize that status and give effect thereto. The petition for mandamus is therefore, meritorious,” it added. The CA denied PCC’s plea to proceed with its pre-acquisition review, rejecting the agency’s argument that the comprehensive review is necessary as it would identify the potential impact of the transaction on public welfare as well as determine its relevant market and whether it will result to substantial changes to the market structure or not. The court held that the PCC committed grave abuse of discretion when it did not follow its own transitory rules and regulations when Globe and PLDT announced the deal. It stressed that the National Telecommunications Commission (NTC), not the PCC, has the authority to investigate the deal. The CA explained that the NTC has technical expertise to allocate frequencies to telecom companies, which cannot be unilaterally reviewed by the PCC. “It is only the NTC that has the power (not to mention the technical expertise and institutional experience) to allocate radio frequencies, and the PCC certainly has no authority to review, reverse or modify the NTC decision,” it stressed. However, the CA pointed out that the approval of the deal does not remove the power of PCC to conduct a post-acquisition review to ensure that PLDT and Globe would not engage in any anti-competitive conduct. “If the parties misuse the subject acquisition to engage in anti-competitive behavior, then PCC may very well exercise its powers to prevent and punish anti-competitive behavior under R.A. 10067 (The Philippine Competition Act ),” the appellate court stated. In its Letters dated June 7 and June 17, 2016, PCC ordered the pre-acquisition review and investigation of the acquisition made by PLDT and Globe.